BUFFALO, NY (February 16, 2018) --- The Western New York Flash is pleased to announce that Matt Waddington has been named the head coach of the WNY Flash ahead of the 2018 UWS Season. Waddington replaces Gary Bruce, who will focus on his key role with the Western New York Flash Academy. Waddington started coaching in 2007 after moving to New York City, beginning as the trainer for the Pelham Soccer Club. He moved home to Buffalo in 2010, which is when he started his own soccer training business before serving as the assistant coach of the Grand Island Varsity Boys Soccer team and ultimately moving into a role as the Director of Coaching for Northtowns Soccer Club. Over the course of the past two seasons, Waddington has been a coach at Empire United while working as a Physical Education teacher in the City of Buffalo. Waddington is a native of Grand Island, NY, and played collegiate soccer at SUNY Brockport before finishing at Canisius College. Upon graduating, he played in the Canadian Professional Soccer League for 9 years, primarily with the SC Roma soccer club of St. Catharines, Ontario, and trained local players while playing. 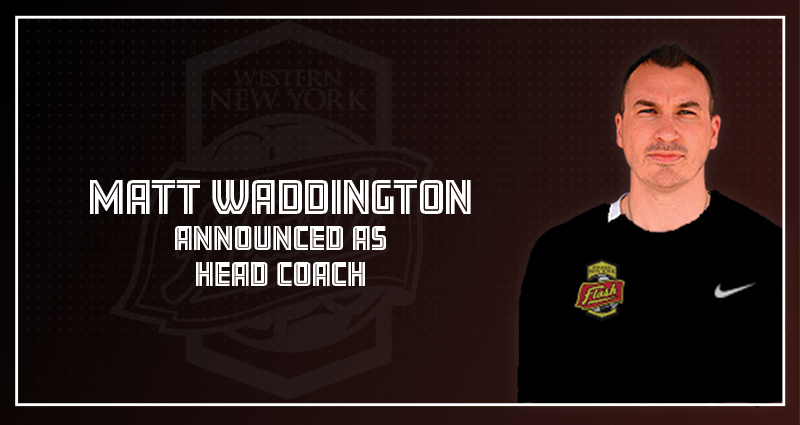 In addition to being Head Coach of the UWS team, Waddington will also coach in the Western New York Flash Academy in the 2018/19 season. The Flash will be playing their 2018 UWS schedule starting in late May. Information about tryouts for the 2018 Western New York Flash will be coming soon. For more information on UWS, visit http://www.uwssoccer.com.